Longfield Paintball & Kids Paintball at Meopham, Medway, Kent. Welcome to our Longfield Paintball site in Meopham, Kent. Welcome to our Longfield paintball site, at Nurstead Lane, Meopham in Kent. We offer Adult paintball games, Kids paintball & paintball parties and Airsoft. Adult Paintball is available for all players over secondary school age from our Meopham paintball site. All we ask is that you can move around a woodland environment safely. The day starts at 9am and you’ll play through until around 3.30pm. A typical day is between 8-10 high adrenaline paintballing games, all set across our amazing outdoor play zones, with a break for lunch. Remember to pack those sandwiches as you’ll need all your energy to combat our most exciting woodland site. Paintball games include zones such as speedball, attack & defends, straw bales, village field & barrel field across 8 outdoor playing zones. We think our Adult paintball prices are the best around. 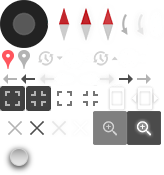 Click here to take a look at them. Kids Paintball & Laser tag in Longfield, Meopham. Childrens Paintball & Laser Tag are both available alongside the adult games. This is perfect for youngsters kids 8-11 years old or corporate groups looking to avoid the pain and bruises. We are specialists in delivering you an amazing paintballing experience at our woodland site just minutes from Longfield, with close travel Dartford, Gravesend and surrounding areas. Easily accessible from London by train so if you are looking for great value London Paintball get in touch. We work with the best, fully insured teams to arrange Paintball games, Childrens Paintball & Laser Tag from our Meopham location. Catering for every occasion including stag parties, hen parties, birthday parties, from 8yrs and Corporate days. We can also organise corporate activity days and team building. Our Longfield Paintball site is open most weekends so get in touch to book your place. We can even open midweek for larger groups and corporate paintball days. Click here to book online. 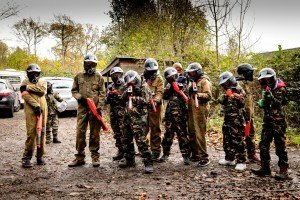 This site is one of our Paintball Kent sites and can also be found on our things to do in Kent page and offers paintballing, kids paintball and laser games. Map below shows approximate location of our Longfield Paintball site, see directions above for details. Site built by CKS Media.